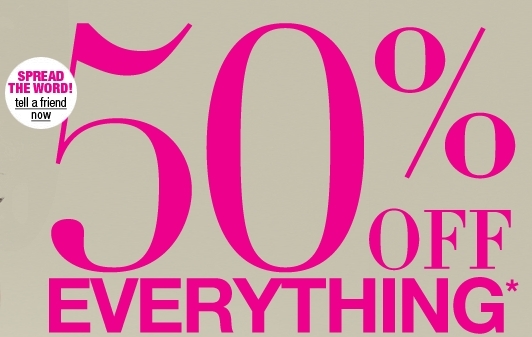 New York & Company is having a 50% off everything sale starting today, 4/28 and running through Sunday. You can head over here to check it out. Also, make sure to first through Ebates to score 3.5% cash back. Plus if you are new to Ebates you will also get an additional $5 back. Just head over here, sign up, then search New York & Company and start shopping.